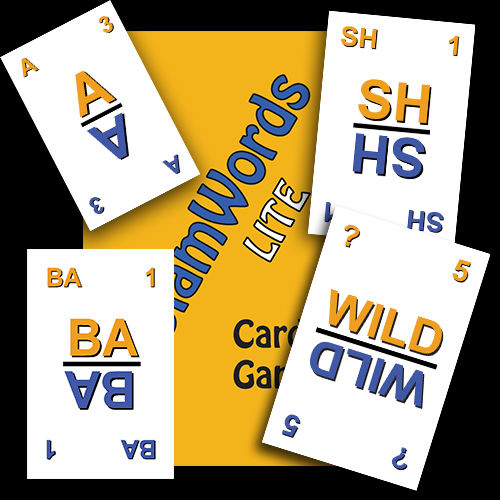 SlamWords™ Lite is the same card game as the original SlamWords™ except for the fact that it has 72 cards in the deck instead of 108 and only single letter and double letter cards are included. This is a great starter pack and can be integrated easily with the 108 card SlamWords™ deck at a later time for a richer learning experience. Excellent for both family entertainment and educational use, SlamWords™ Lite is well worth the cost of ownership. Slamwords™ Lite Card Game was designed by Ara John Movsesian, Architect, Author and Inventor who first came up with the rules in 1994. Recently, thanks to the development of Print on Demand (POD) technology, he has finally brought the game to the marketplace for all to enjoy.